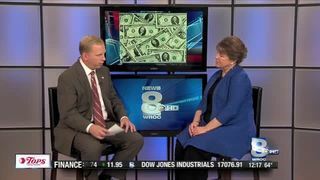 Mark Gruba sits down with Susan Acker from Merrill Lynch Wealth Management to talk about planning for healthcare in retirement. There are many factors changing how to plan for health and financial wellness later in life. People are worried about what happens if they live a long time, how they plan for what comes next, and when people think through those things it could be a daunting task, but this is a generation that is really looking to do something differently than previously. People born between 1946 and 1964, Baby Boomers, are the generation that’s really going to take it in a very different approach compared to previous generations. Many ‘Boomers’ are being very proactive about their relationship with their doctors. Merrill Lynch conducted a study on healthcare and found that there was a big shift in the focus on healthcare in retirement. 81% of people said for them to be successful and happy in their retirement, was their health. Previous studies would have resulted in wealth. There is a convergence of the combination of health, wealth, and being prepared. To view video of the interview, click here. For more information, visit the Merrill Lynch website, click here. For more information about Susan Acker, click here.